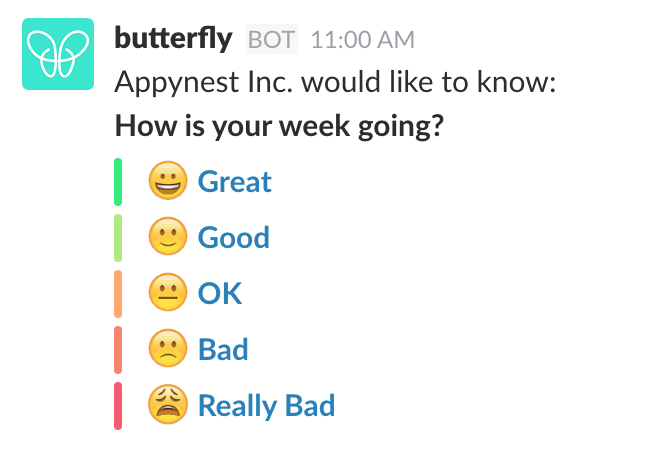 Your team will receive the Pulse survey via email or slack at the frequency that you set up. 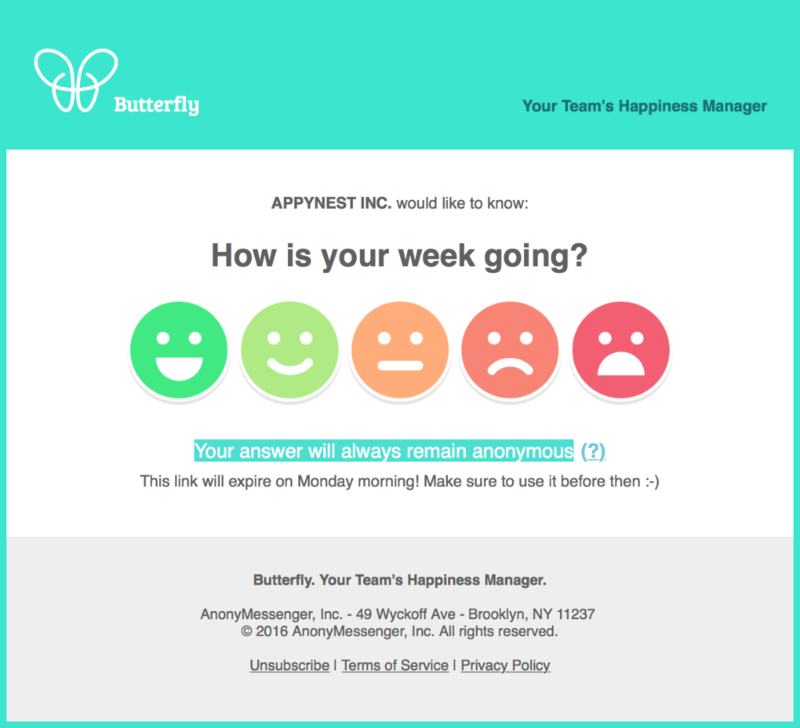 Clicking on any of the moods automatically redirects the user to an anonymous webpage, where they will take a quick 5 question survey. Users can then choose to explain their rating with a comment, which allows managers to get even more insight on their choice.